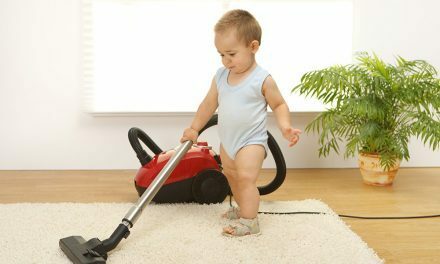 Canisters are one of the most popular type of vacuum cleaner, particularly for homes with lots of hard flooring. 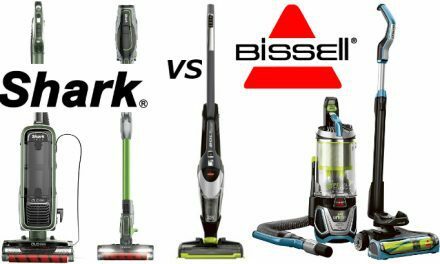 In these Canister Vacuum Reviews we have chosen our top 5 picks of the best canister vacuums for 2018. 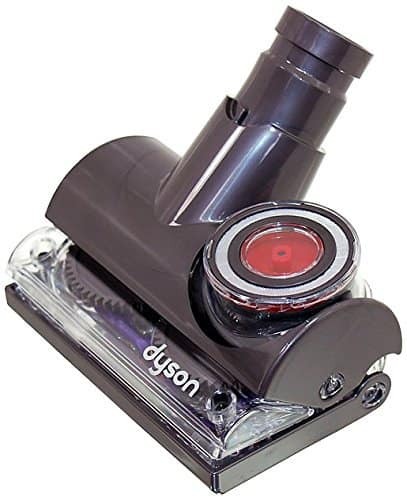 There is a quality canister vacuum in here that will suit most budget requirements. 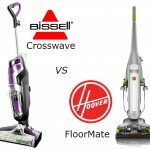 The table below gives a quick snapshot of the comparable features of each cleaner in these canister vacuum reviews. 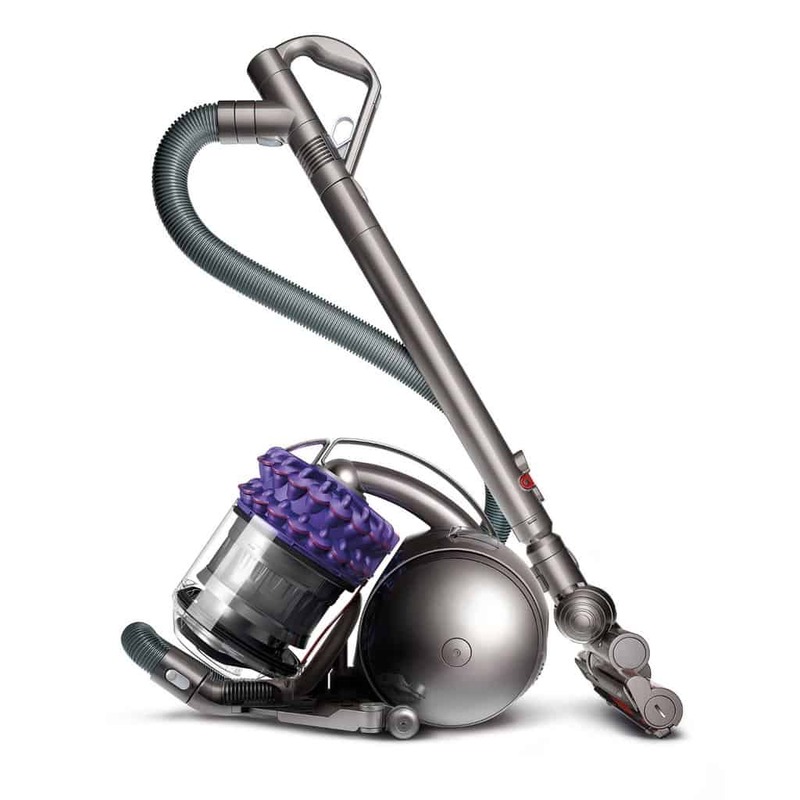 This vacuum features Dyson's latest Cinetic™ Science technology that they claim captures the microscopic dust that clogs all other vacuums. 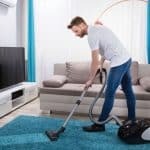 The technology generates centrifugal forces high enough to separate the smaller particles of dust and dirt, which compares to other vacuums that try to capture these particles via a filter. 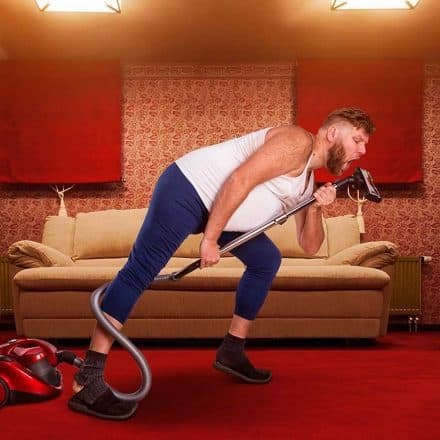 This provides the advantage of never losing suction power, which can be a problem with other vacuums when the filter's pores become clogged with dirt and block airflow. The 54 flexible Cinetic tips inside the canister vibrate at up to 5,000 times per second to separate microscopic particles. The centrifugal forces generate up to 313,000G and have the effect of whizzing tiny dust particles as small as 0.5 microns including pollen and mould spores from the air into the bin. No dirty filters to wash or replace the vacuum will never lose suction and guarantees only clean air will be expelled. The Dyson Ball technology - provides stability and a low centre of gravity for easy mobility and accurate steering when pulling it along. No bags to change or filters to clean - zero maintenance machine! There is no storage for tools on the body of the cleaner. The wand caddy carries only two small accessories. There is no storage place to put the small furniture power head. Emptying the canister has proved difficult for some users, who have experienced the contents of the bin getting stuck in the bin and nothing falling out when the bin is opened necessitating use of the scraping tool to empty the bin. Many users have complained that the dust bin has to be emptied too often. The dust bin size is similar to other Dyson’s, however users have complained that the fill line is very low. We conclude this review with an excellent demonstration video of the Dyson Cinetic Animal Canister courtesy of QVCtv. If you're really interested in this canister be sure to check out the video, which provides a deep dive into all the features and workings of this cleaner. The Olympus is the entry level version of the Miele Classic C1 series, which are also the entry level series canisters from Miele. The Miele brand is synonymous with quality, durable vacuum cleaners and the C1 series are designed and built to last an average of 20 years (German engineering at its finest!). For those wanting proven quality without breaking the bank this lightweight, powerful machine is suitable for homes with hard surfaces and low pile carpets. The exclusive Air Clean System has been thoroughly researched, developed and tested by Miele's quality control laboratories. You can rest assured that it effectively captures and retains dust, dirt and other indoor air pollutants. Miele's stringent testing regime guarantees it is one of the most effective and hygienic methods of removing particulate matter from the home. This canister also features a variable speed motor that enables control of the suction power via a rotary dial with 6 different settings including a silent mode to vacuum quietly. 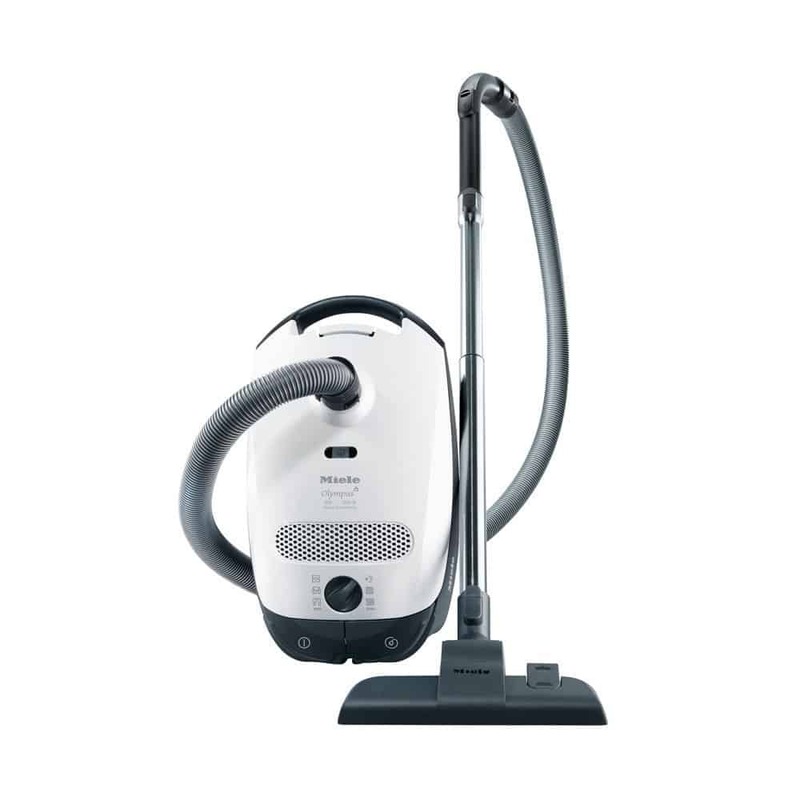 Furthermore, the Olympus offers superb value for a Miele canister vacuum cleaner at this price point! You are getting almost the same Miele quality filtration and cleaning capability as the top of the range Miele models minus some of the extras and luxury features at a fraction of the cost. As this is the entry level C1, it doesn't have some of the extra features found on the more expensive models but the quality, performance and durability is reported to be superb. If you are interested in the extra features there are a wide range of head nozzles that fit the C1 Olympus, which can be purchased separately. Additionally you can get the HEPA filters for the Olympus model (which we would recommend for allergy sufferers) as an alternative to the AirClean Filter, which comes as standard. Good Housekeeping Seal of Approval - provides for a 2 year warranty (motor & housing is covered by 7 year warranty). 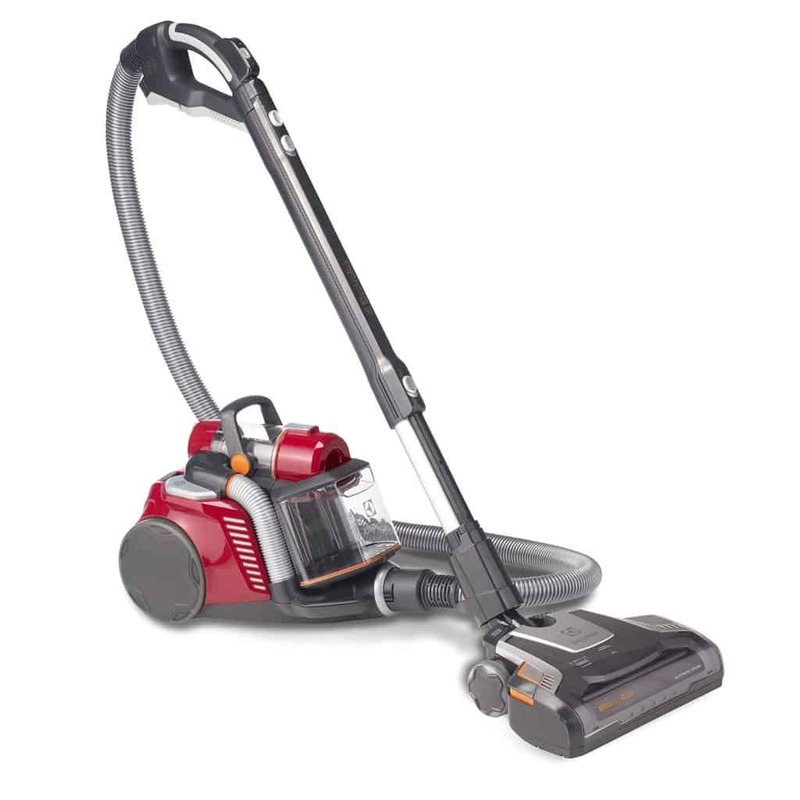 Powerful motor and 6 suction settings accommodate a variety of vacuuming tasks. Very low noise output due to the sound insulation layer especially when used on the silence setting. Lightweight design weighing only 11 lbs, which makes it very easy to maneuver around the house and carry up or down stairs. Large capacity 4.76 qt. (approx. 1.2 gallon) AirClean dust bags. These bags are 9 layers thick for filtration quality and durability, have excellent air flow for efficient use, and include spring-loaded self-sealing covers for no-mess disposal. Not a Miele certified sealed system. The Olympus offers a less stringent combination of an electrostatically-charged filter bag and filter cartridges compared to the zero-particle output of the Miele Complete C3 models. If you're an extremely sensitive allergy sufferer and have the budget for it, we would recommend considering a certified sealed system such as the Miele Complete C3 series (also featured in our Best Canister Vacuum Reviews - see below). Does not support electric power brush attachments (unlike the more expensive C1 Titan and C1 Delphi, which come equipped with electric hoses and wands). 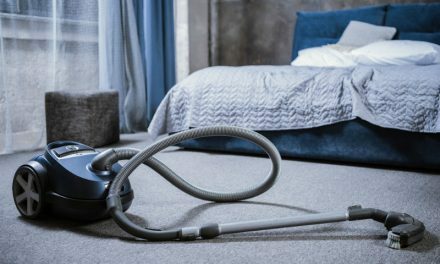 This is not the best vacuum choice for someone who has lots of carpeting or thick, plush rugs, where an electric brush is necessary rather than purely suction. Accessory tool storage is not directly on the canister. The tools are kept on the wand with a clip-on tool caddy. To conclude this review, below is a video courtesy of Healthy Home & Kitchen showcasing all of the features of the Miele Olympus C1. 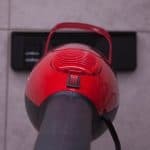 The Miele Complete C3 Canisters are the premier Miele canister vacuum cleaners for those wanting to make a serious investment. There are six models in the Miele Complete C3 range, each distinct from one another. The Miele C3 Cat & Dog is our no.1 choice from these Canister Vacuum Reviews, particularly for pet owners. It features an Active AirClean filter, which is unique to the C3 range and to provide excellent filtration of dust and other allergens (99.95% of particles 0.5 microns and larger, 94% of particles down to 0.3 microns) as well as pet odors. The Miele C3 Cat & Dog also includes a mini turbo brush for cleaning furniture, stairs or other small areas where pet hair collects. The full-size SEB 228 Electro Plus powerbrush can accommodate all carpet types and the parquet floor brush is great for all smooth flooring, especially tile and hardwood. 1200 watt, low-noise, high output Miele-made Vortex Motor System™. 6 suction settings with +/- suction controls on canister. Integrated silence insulation plus an encapsulated motor. Air Clean Sealed System™ Design retains 99.9% of particles inside the vacuum. Active AirClean filter (SuperAir Clean filter w/Active Charcoal cassette). The Miele Parquett Twister SBB 300-3 has 90° rotation - makes cleaning around obstacles such as table legs and other tight places a cinch. This attachment is lightweight yet large, and there are periodic spaces in the brush to allow crumbs, etc. to be picked up without lifting the head. 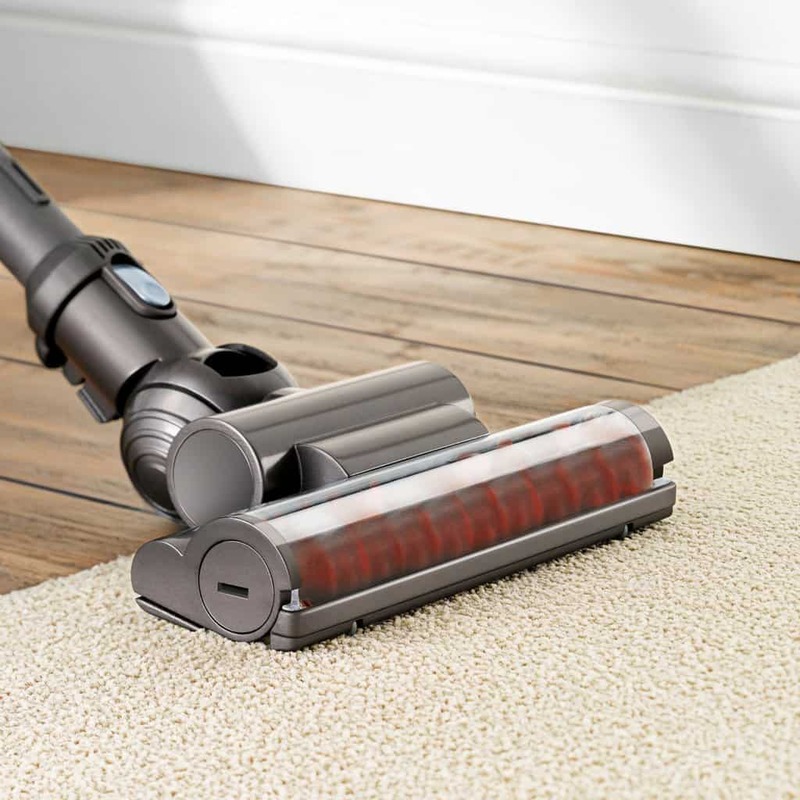 The Miele SEB 228 Electro Plus Full-Size Electrobrush has a 14-inch wide brush roll, swivel neck, self parking and 5 height adjustments - recommended for use on medium to high-pile or plush carpets. Miele STB 101 Mini Handheld Turbobrush - for removing pet hair from stairs, upholstery and car interior. 3 accessory tools: crevice nozzle, dusting brush, upholstery tool. Integrated tool storage compartment directly on the canister. Electric, telescopic, stainless steel wand. Dust bag change (airflow) indicator light. Good Housekeeping Seal, which provides for a 2 year warranty (motor & housing is covered by Miele's 7 year warranty). Though the Active AirClean filter is not a HEPA-grade filter, it still offers excellent particle retention of over 99.9% down to 0.5 microns. Additionally, it helps reduce odors that can be exhausted from pet hair and dirt inside the vacuum bag. Mini turbo brush tool is handy for removing dirt and pet hair that collects on upholstered furniture, stairs and inside the car. Easy to use +/- suction adjustment controls on canister. The controls are designed so they can be adjusted with your foot or by hand. The foot controls allow for vast changes in levels of suction, power on and off, and cord rewind. LED panel on the canister displays what suction setting you are on. 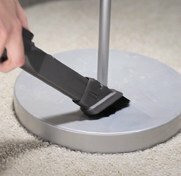 Extremely quiet vacuuming, even on the highest suction setting. Very lightweight (impressively so for it size), easy to carry and impressive manoeuvrability. Electro Plus power brush SEB-228 is very easy to use and maneuver, and is rather lightweight for its large size. It is 14" wide with 5 carpet height adjustments to handle all types of carpets. It parks on its own for convenient stopping and storage. It is simpler in design than the Electro Premium power brush SEB-236 and does not have a headlight or protective molding which allows it to be more affordable in price. The G/N AirClean filter bags hold a lot of debris (more than double all of the other canisters we came across and included in these Canister Vacuum Reviews). Rubber bumper guard will protect against scuffs and scratches. Included filter is not a HEPA filter, although the difference is miniscule in terms of filtration capabilities. HEPA Filter can be purchased separately as an option too. No automatic suction setting. One must pay attention to the suction setting when using the air powered mini turbo brush to prevent the brushes from possibly damaging upholstery material. This Miele cleaner is expensive and you also need to consider the ongoing costs of replacement bags and filters. To conclude this review, the video below courtesy of the Vacuum Warehouse provides a demo of the Miele Complete C3 Cat & Dog. 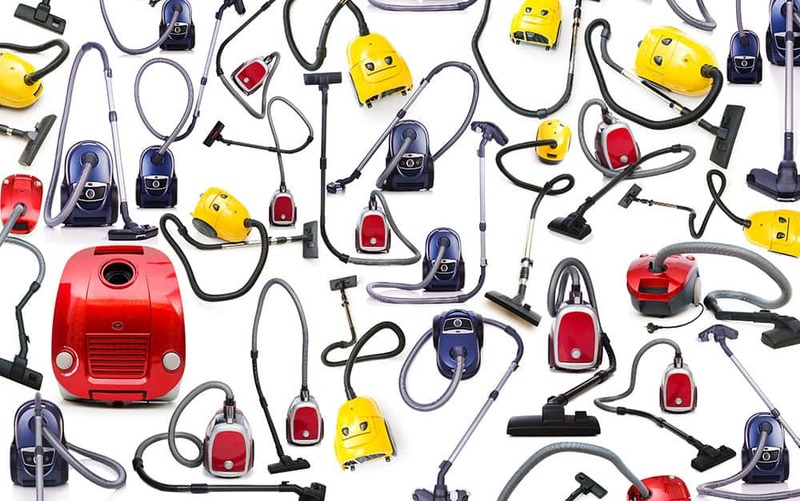 The Shark brand is fast becoming one of the most popular manufacturers of vacuum cleaners in the market. Their vacuums are high performing, come with a long 7 year warranty and are a very reasonable price. The Shark Rotator Lift-Away Canister is no different. This canister has powerful suction, is very lightweight (only 10.3lbs) and incorporates Shark's exclusive lift-away feature. As a result, once awkward tasks like stair vacuuming are a breeze. One of the important features that sets this canister vacuum apart from other cheaper models is the Anti-Allergen Complete Seal Technology + HEPA, which traps 99.99 percent* of dust and allergens inside the vacuum. This is crucial as it keeps the dust from escaping back into the air, which is a common problem in vacuums that are not completely sealed. The Shark Rotator canister comes with a wide selection of tools in addition to the motorized power nozzle. 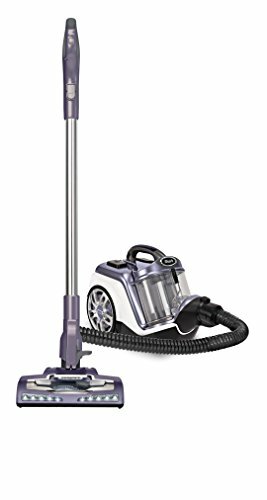 It is suitable for all floor types (easily switch between carpet and hard floors via the switch on the handle), although if you have plush carpets we would recommend considering the Electrolux Ultra-Flex featured below in these Canister Vacuum Reviews instead. *Based on ASTM F1977 of particles between 0.3 and 0.5 microns. Great for use on stairs due to its lightweight, lift-away design and small roller attachment. Users have reported it is excellent for pet hair removal and makes carpets really clean. Users have reported that the operation of the Shark Rotator Canister is very quiet compared to other vacuums. 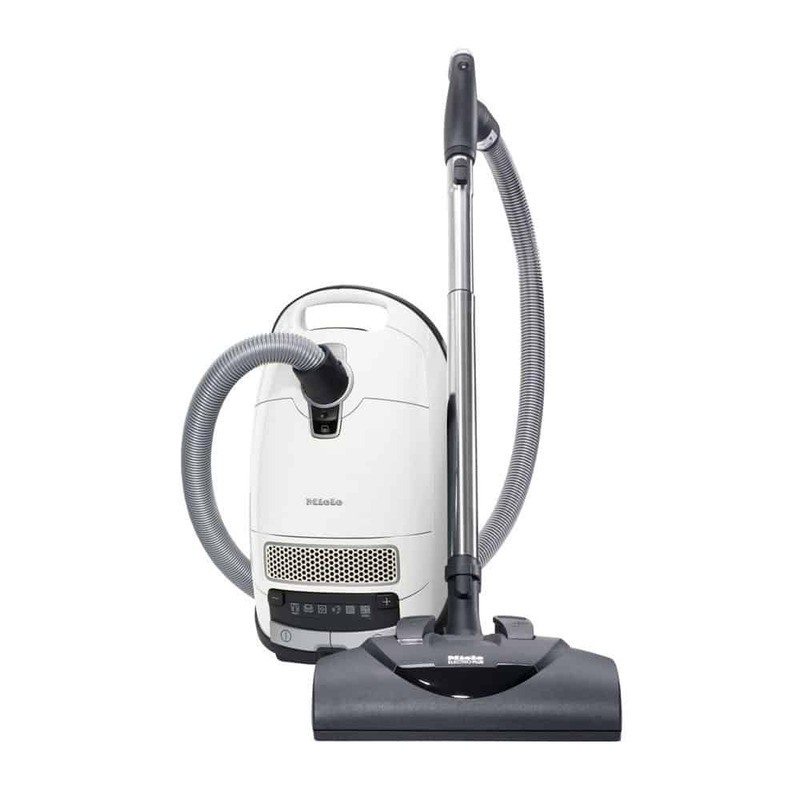 Excellent value for money - this is the cheapest model in our canister vacuum reviews! Storage is convenient using the hook on the back of the canister for the wand. 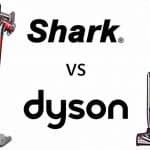 The Shark has the shortest cord compared to the other models in these canister vacuum reviews at only 23ft. The motorized head is only 10 inches wide (narrower than the other canisters reviewed in this article). Some users have had difficulty connecting the wand to the floor nozzle, however it appears this was a defect and Shark quickly issued a replacement. To conclude this review, below is a full demonstration video of this Shark canister in action. The video gives you a very detailed look at the vacuum and is 28 minutes long! We recommend flicking through to check out the features so you can decide if it is the right canister for you. Electrolux's Ultra Flex canister vacuum offers excellent performance everywhere-designed for superior performance on super plush carpets. The FlexPro performance system provides a solution for homes with both hardfloors and plush carpets which sets it apart from a lot of other canisters, which tend to only perform well on low-medium pile carpets. Ultra Flex includes an on/off Brush roll switch and 3-level height adjustment so you can easily transition to clean different floor surfaces. Adjustable suction power lets you reduce suction to safely clean delicate curtains and fabric. A cyclonic system also gives you consistent suction power to thoroughly clean your home. Furthermore, the Ultra Flex is compact, lightweight and easy to manouevre via its large rear wheels and low center of gravity. For your convenience it can be parked for storage in either the vertical or horizontal position. Versatile tools include a crevice tool and dusting brush that store conveniently on the handle, so you can clean crevices and stairs in one quick step. An upholstery nozzle and bare floor nozzle help you tackle all of your home's surfaces. Premium washable HEPA filtration captures 99.97% Of dust, allergens and other irritants for a cleaner home. 1.7l bagless dust bin with bottom opening for easy emptying. Lightweight design & very maneuverable. Incredible suction power compared to the leading cleaners. Works well on high pile carpet. The dust container is quite small and will require fairly frequent emptying. It is slightly smaller than the one on the Dyson Cinetic. Two of the attachments are stored in the handle of the wand. Some users have found that the attachments easily fall out of their allotted slots in the handle. 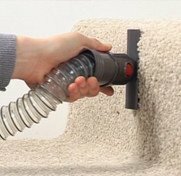 On carpet, the vacuum works has a strong suction and pull, which can be tricky for some people to control. To conclude this review, the video below from Electrolux shows off the features of the Ultraflex. 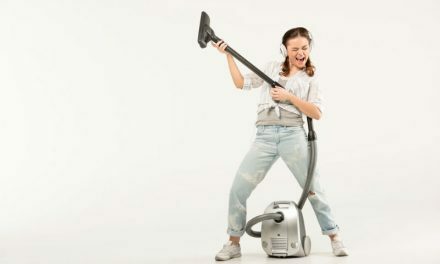 In these canister vacuum reviews we have considered the pros and cons of 5 of the hottest canister vacuums that you can buy right now. The information that we have provided should enable you to make a decision on which canister suits your particular needs, desires and budget. The outstanding performer is the Miele C3 Complete Cat & Dog, which has had fantastic feedback from everyone that has the pleasure of cleaning with this machine. Whilst the price tag of this unit may be prohibitive for many, when you take into account it's design life it does represent great value and is a worthy investment if you can afford it. The ﻿Electrolux Ultra Flex﻿ and the No products found. 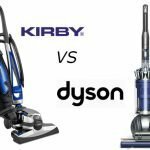 are similarly priced and similarly performing units, although if you have thick pile carpets we would recommend the Electrolux over the Dyson based on the user feedback that we have reviewed. For the lower-mid price range of canisters the Miele Classic C1 Olympus or the Shark Rotator Powered Lift-Away provide excellent value for money with consideration given to quality, performance and warranty. 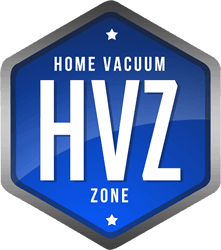 We hope that our canister vacuum reviews have been helpful in your search for a cleaner that is right for you!